The Brain Balance Achievement Center of Santa Barbara is dedicated to helping children in the Santa Barbara area meet their social, behavioral, and academic goals. When children are enrolled in The Brain Balance Program, they are first given a personalized assessment. This assessment helps us to identify each child’s unique challenges and develop a personalized plan that will help the child overcome those struggles. Included in each child’s individualized plan are academic activities, sensory motor training, and dietary guidelines. We believe that these activities are valuable in developing an integrated, whole-child approach to dyslexia and other learning disabilities. 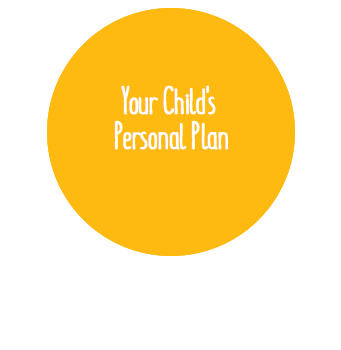 Get started with a plan for your child today! Although dyslexia is a lifelong learning disability, approaches for dyslexia can help children to function better in an academic setting. The Brain Balance Achievement Center of Santa Barbara has developed a dyslexia program that can help your child overcome their learning obstacles by improving reading, spelling and writing skills. In Brain Balance’s approach to dyslexia we create a personalized plan for your child that includes 3 in-center visits per week in addition to at-home activities. These activities help your child reach their learning, social, and behavioral goals. Learn how The Brain Balance Program has benefited children with dyslexia by reading our stories from parents whose children have gone through the program. Start Your Brain Balance Journey! Brain Balance Achievement Center of Santa Barbara has a plan for children with dyslexia. If your child is struggling with recognizing letters, learning sounds, and/or identifying rhyming words, we can help. Call (800) 877-5500 to learn more about how Brain Balance can help children with dyslexia and sign up online today! The Brain Balance Program is a non-medical and drug-free approach to overcoming the challenges of ADHD, learning disabilities, processing disorders, Asperger’s syndrome, and a host of other related childhood learning and developmental issues. Our integrated approach combines physical and sensory motor exercises with academic skill training and healthy nutrition. For over a decade, the Brain Balance Program has helped tens of thousands of children with learning and developmental issues through our integrated, whole-child approach. The Brain Balance Personalized Assessment is an objective and quantifiable measurement of each area of function – motor, sensory, behavioral, social, emotional, and academic – allowing us to better understand your child’s unique challenges. One thing you will never be at a loss with at Brain Balance is the complete support of our staff. We work with a very diverse set of kids every day. For years we’ve worked with many different challenges and behaviors, without judgment, using our experience to help every child and every parent find success within our program. You will never feel out of place, or out of line when you ask and need help.